The London Coffee Festival: 4 days. 200 exhibitors. And a lot of seriously good coffee. It was a coffee-lover’s dream. 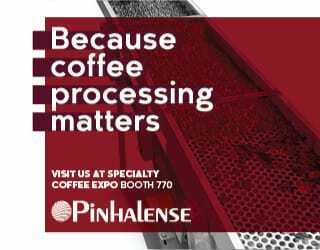 Espressos, green beans, roasted beans, alternative milks, coffee alcohol shots, brewing devices, cups, coffee art, coffee cosmetics… You name it, they had it. And out of all these, we found certain items just blew us away. Now, that doesn’t mean they were the only good items, or even that they were the best. 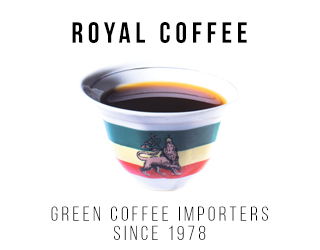 But they were new coffee products that we see making a big appearance in the coffee scene over the next twelve months. So if you didn’t make it to the London Coffee Festival, or did but want to see if you missed anything, read on for our list of seven items to watch out for. SEE ALSO: Is The London Coffee Festival Hipster Heaven Or Coffee Paradise? There were so many amazing coffees that this list could easily be 70 things to watch, not seven. But two companies grabbed our attention with their heartwarming missions. Coffee beans may the seed of a cherry, but these particular coffee beans are the seeds for change in Kenya. 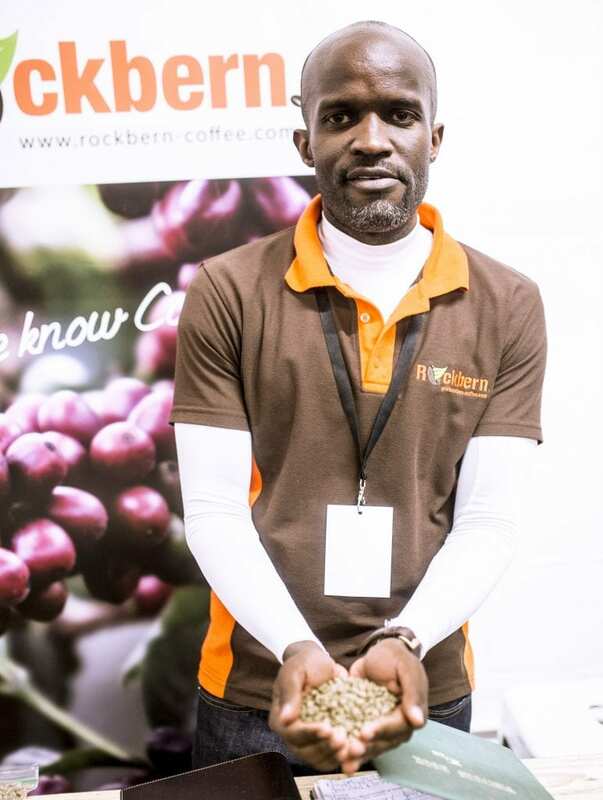 Peter and Bernice, the entrepreneurs behind Rockbern Coffee, are determined to tackle the wealth gap in Kenyan coffee-producing communities – and they’re doing so through education and training. They sell both green and roasted beans from around the slopes of Mt. Kenya. 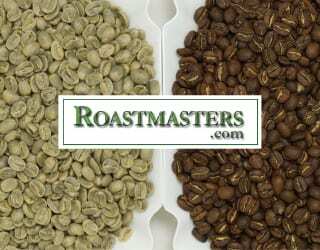 Their green beans are specialty-grade and often microlots, while their roasts are a mixture of single origins and blends. They use their position as a roaster and exporter to run an accredited 4-week barista training programme, with placements in the Middle East, that helps locals to find employment. Then there’s their Coffee and Books initiative, in which they dedicate themselves to sourcing books and setting up a library for primary schools; they believe that, if they cultivate a reading culture at a young age, children will be set up for success. We’ll order a cup of coffee and drink to that! Here at Perfect Daily Grind, we like our cold brew. But what we like even more is specialty-grade cold brew with a soul behind it. 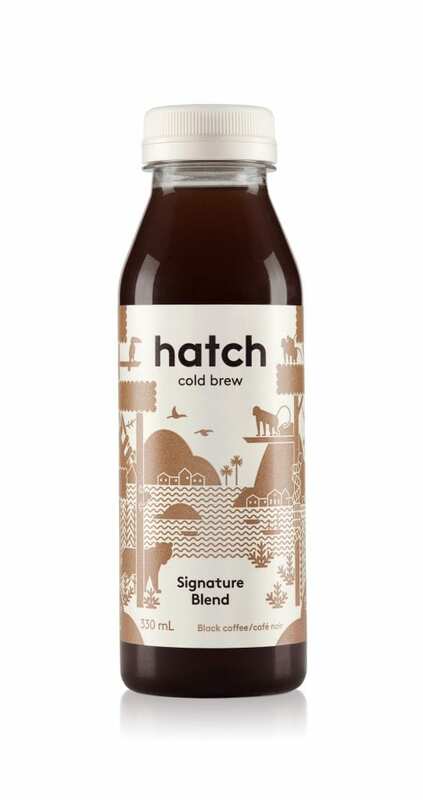 Each beautifully designed signature blend bottle of Hatch Cold Brew contains two cups of 100% organic direct-trade coffee from Ethiopia or Colombia. Produced with a cold treatment system, it has a refrigerated shelf life of 20+ weeks, although we’re not sure how you’d wait that long to drink this… it’s delicious. 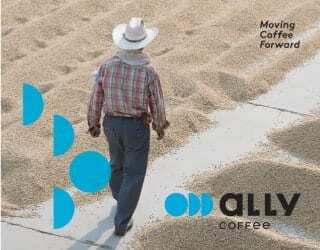 And what really sold us to Hatch Cold Brew is Alfonso’s dedication to helping producers. He knows how much of a risk there is in going organic. Leaving an area of land unfarmed is necessary for creating a pesticide barrier, but it also represents a lost resource that reduces their profits. So he subsidises producers’ costs in switching to organic farming, making this drink a cold brew with a conscience. After the coffee itself, if there’s one thing that’s going to set coffee lovers’ hearts beating, it’s new brewing devices. We were excited to see two very different brewing devices at the London Coffee Festival, both of which we fell in love with. The Cafflano Klassic All-In-One Coffee Maker revolutionised the coffee market when it first appeared. One portable device that allowed you to grind, brew, and drink your coffee out of an insulated mug, it was a traveller’s dream piece. And now they’ve done it again with the Kompact. The Kompact is an immersive brewing device, perfect for those who liked the idea of the Klassic but didn’t want a filter coffee. It doesn’t include a grinder or a mug, but it’s still one of the most portable brewing devices we’ve seen. So what’s so special about it? 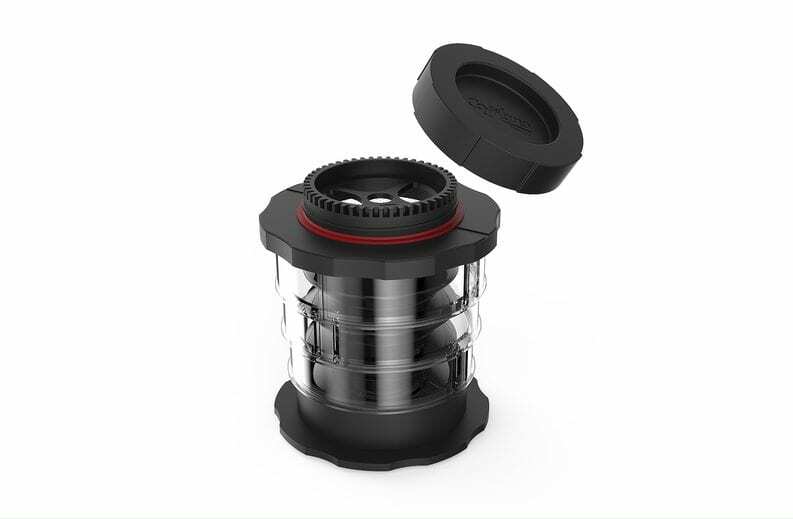 Well, in theory, it’s similar to the AeroPress – except it requires much less effort, is even more compact, and can even be used on top of a wine glass. We tried using it and were impressed with how easy it is to compress it. Production begins in June, but you can get a priority order by signing up to their Kickstarter campaign next month. 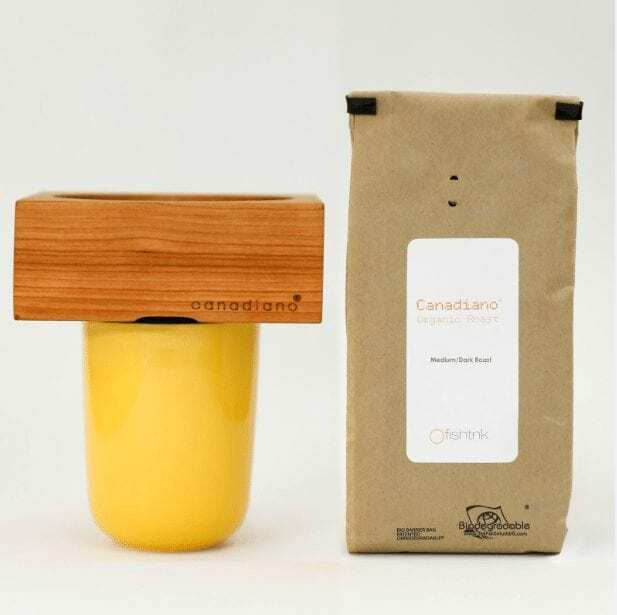 The Canadiano may just be one of the most hipster brewing devices we’ve seen, but we can’t stop looking at it with adoring eyes. This thing is simply beautiful. So what is it? It’s a piece of wood. Yes, you read that right. 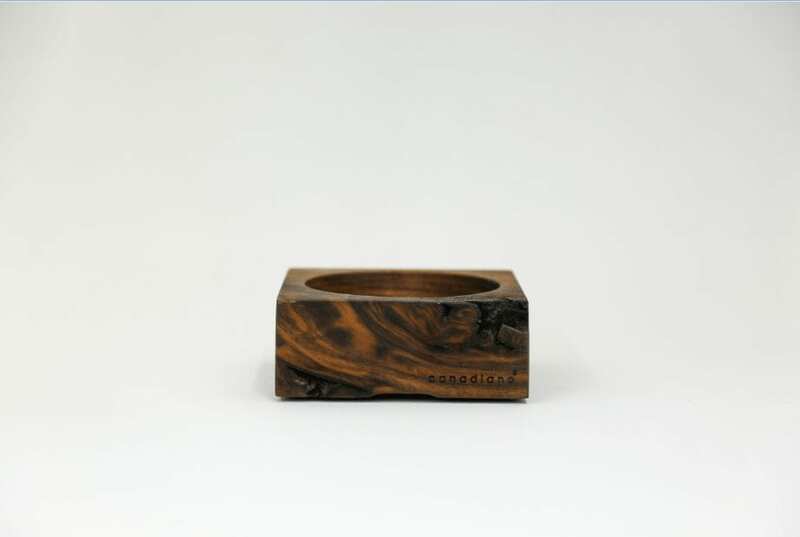 The Canadiano is a piece of wood that’s been carved into an original brewing device, with the single addition being that of a metal filter. The Walnut edition of the Canadiano. Credit: Canadiano. 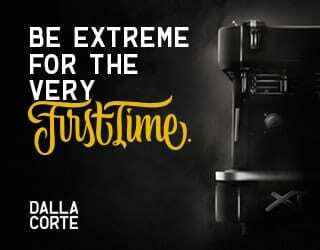 But it’s not just the design that’s unique – your coffee is too. You see, over time, the wood will absorb the oils of your preferred beans, making it a brewing device that’s personal to you. Isn’t that just seriously cool? They recommend the Walnut and White Oak versions for darker roasts, while the White Ash and Cherry ones work well with more citrus, floral, and nutty profiles. Frankly, we’re tempted to buy them all. The Cherry Canadiano, ready to use. Credit: Canadiano. Of course, as much as us coffee lovers don’t want to admit it, sometimes people just don’t fancy a cup of coffee. And, particularly if you’re a café owner, you have to cater for that. But there’s no need for your non-coffee offerings to be bland. Solaris Tea sell organic single origin and specialty-grade teas directly sourced from farms, meaning they’re the kind of company third wave coffee lovers are going to get on with. This Irish organisation has won awards, including Ireland’s Origin Green, for their sustainability, and even their packaging is biodegradable. In other words, their tea is good for the planet, is good for the farmer, and is good for your tastebuds. We sampled their Berry Fruity tea and were impressed (and not just by the pun). Despite having no added aromas, it smelled simply delicious – and the taste didn’t disappoint, either. Fruity and slightly sweet, it was a tea suited to unwinding at the end of the day. Yet the real reason why we put Solaris Tea on this list wasn’t their Berry Fruity. No, it was their flowering teas, which look just like magic. 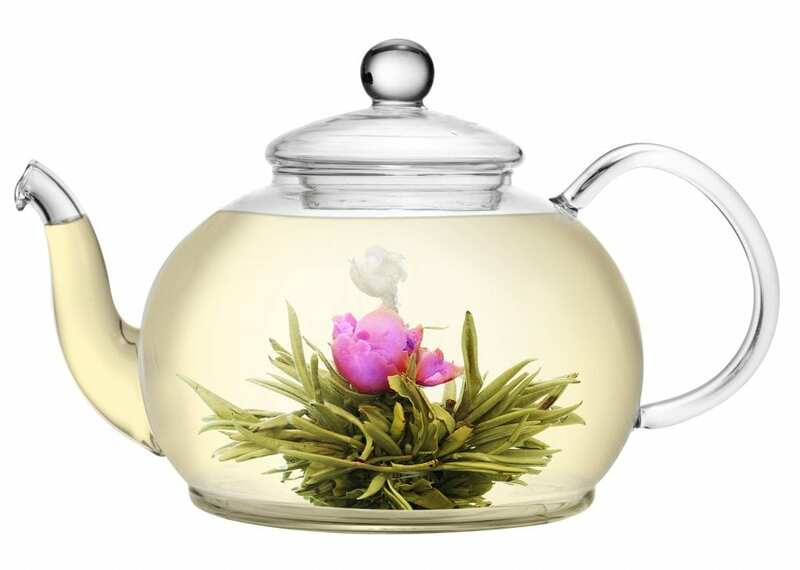 Pop the teabud, which is Silver Needle White Tea, into a glass teapot and just watch as it slowly unfurls to reveal a beautiful flower. Whether you’re selling it in your coffee house, serving it to friends, or giving it as a gift to your grandmother, it’s not going to be forgotten any time soon. Latin American yerba mate isn’t quite tea and it isn’t quite coffee, but it is extremely delicious. Not to mention healthy – to quote Rosie, one of the founders of Yuyo Mate, it has a “completely unique antioxidant profile and, along with a host of vitamins, contains caffeine, theobromine and theophylline – the feel-good compounds found in coffee, chocolate and brewed tea). It’s reputed to boost metabolism and mental alertness, soothe indigestion, and more”. Er, can we get a few more cups over here? 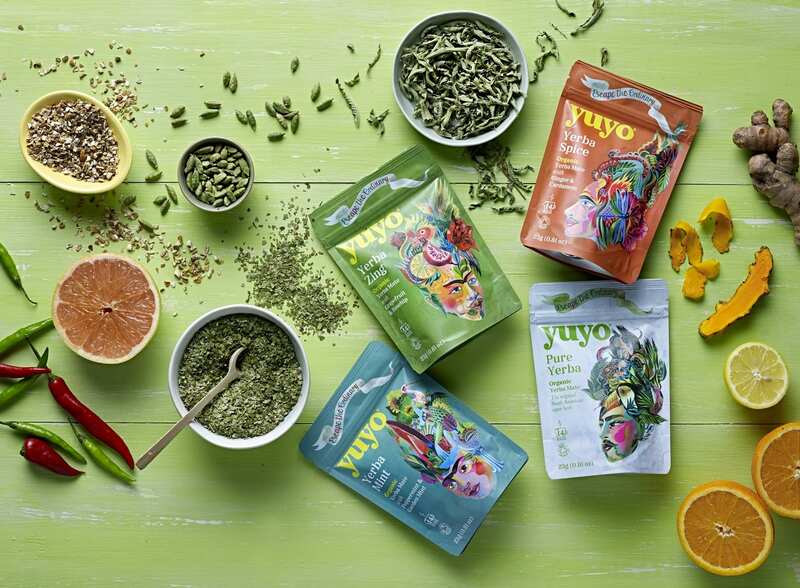 Health benefits aplenty with Yuyo Mate. Credit: Yuyo Mate. 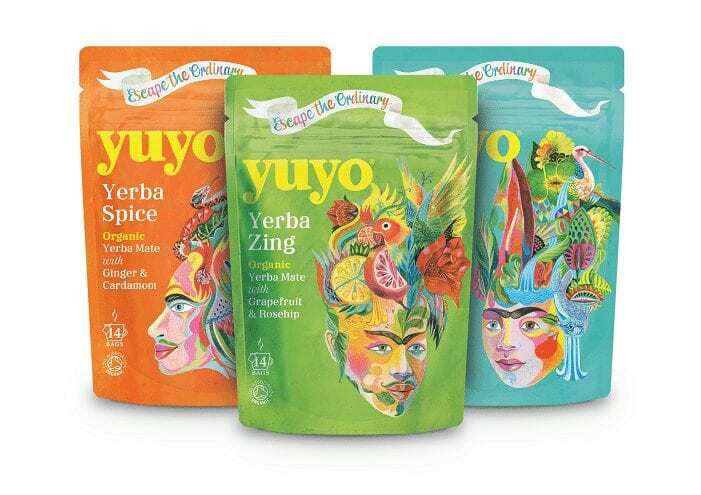 Yuyo Mate have created six organic blends, four of which are mate-based and two of which are rooibos-based. We tried their Yerba Mint and were surprised by how it felt both soothing and invigorating – making it the perfect option for that mid-afternoon slump! Café owners, there’s one more reason for you to consider stocking Yuyo Mate: its gorgeous packaging will easily persuade customers to try it. Yuyo mate’s packaging promises an exciting experience – and the product doesn’t let you down. Credit: Yuyo Mate. Karma Cola are a soft drinks company determined to do good. 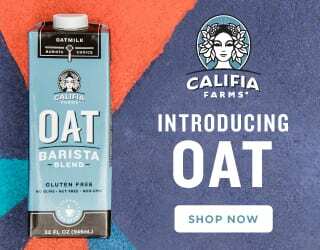 For a start, they only use organic, Fair Trade, and lightly processed ingredients – making them one of the healthiest kinds of sugary drinks around. What’s more, Karma Cola believes in not just helping farmers but in listening to farmers. They give back to eight communities in Sierra Leone, but it’s the communities themselves who decide what projects should be funded, from bridges to schools and more. We reckon this makes Karma Cola one of the most feel-good fizzy drinks you’ll find. Choose from their Gingerella Ginger Ale, Lemony Lemonade, or original Karma Cola to help make a difference.